I’ve said it before and I’ll say it again – I dig this rosé. All Syrah, from Washington state, cool label, totally watermelon-raspberry deliciousness. $11, great every day go-to. Perfect pairing: friends and summer nights, whole bottle required. 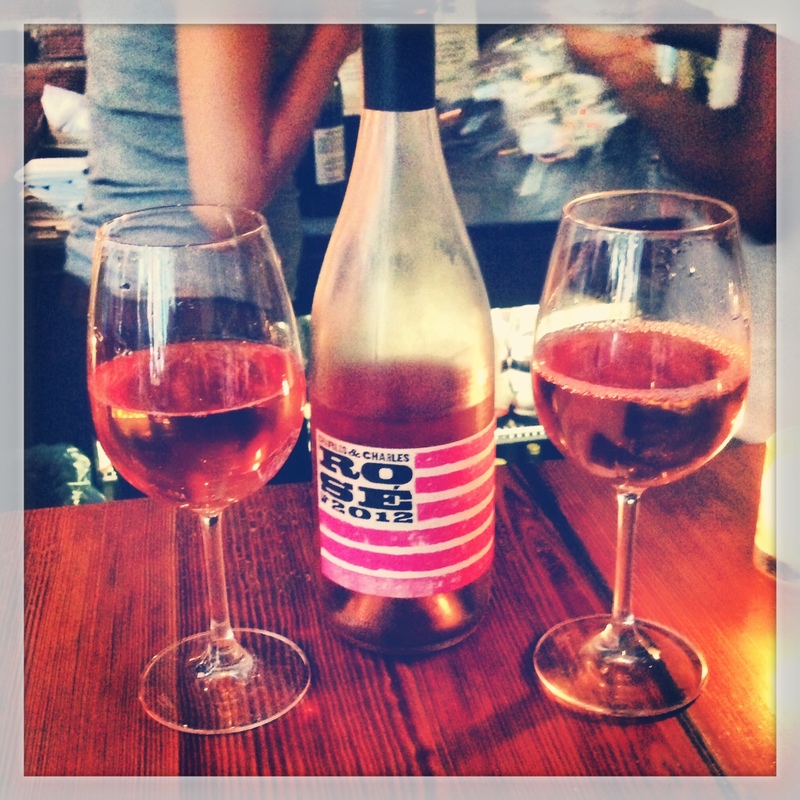 Tags: drinks, happy hour, Rose, syrah, wine. Bookmark the permalink. Previous post ← grapefriend wine totes are here! I am now officially on the search for this particular wine in my area. Watermelon and raspberry flavors sound delicious! Yeah, it’s not overdone, just refreshing and yum. This is our favorite Rose, too. So yummy! Yes. I love any wine by Charles Smith!! Charles & Charles…even better! Together they create delicious wine. Have you tried Kung Fu Girl? It’s a staple in my fridge. I really like almost all the wines by Charles and Charles…. Don’t see a lot of them in NYC. I’ve actually seen them in a bunch of wine stores. Not as many restaurants/bars, but stores yes. Cheers!